Maine laboratories are finding unconventional ways to fund science and technology, touted by politicians and economists alike as a key economic and educational driver in the state, as the federal government again threatens to cut money for their work. The Trump administration’s proposal to slash federal science funding by 13 percent, or $4.3 billion in the 2018 budget strikes across the nation’s science organizations. 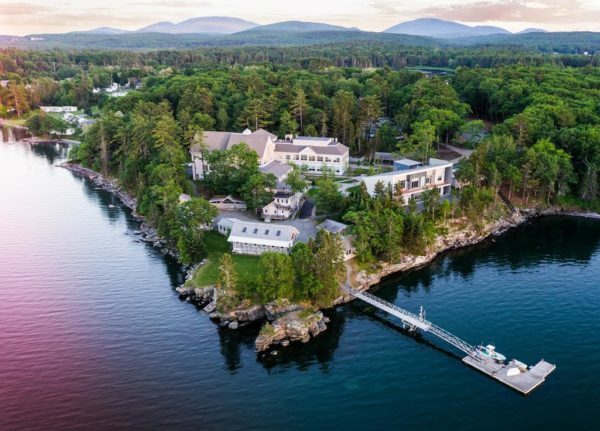 In Maine, the proposed 22 percent cut for the National Institutes of Health would most impact the state’s world-renowned biomedical research institutions like Bar Harbor’s Jackson Laboratory and MDI Biological Laboratory. Even though the NIH garners bipartisan support in Congress, where both the House and Senate recommended budget increases, uncertainty in the overall funding environment already is sending chills through Maine’s science institutions and universities, causing many to pursue unlikely collaborations to make up potential gaps. “As soon as there’s any uncertainty put into the budget, we all feel it immediately. 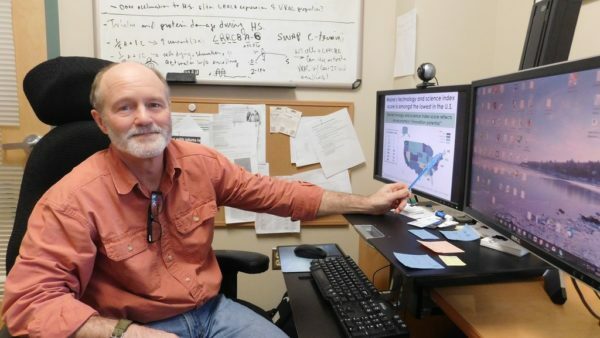 We saw cuts here of 20 percent to all of our existing grants,” president of the MDI Biological Laboratory in Bar Harbor Kevin Strange said, referring to the 2017 federal budget arguments. He likened it to a household losing 20 percent of its income overnight. The threatened cuts are having the same impact now, he added. While private institutions such as MDIBL that rely heavily on one funding source are nervous, so, too, are others like the University of Maine in Orono. The university gets state and federal funds from multiple agencies including the National Science Foundation, whose budget the president recommended cutting 13 percent, and the Department of Defense, facing a 15 percent cut. Bigelow Laboratory for Ocean Sciences in East Boothbay could get hit by a potential 11 percent drop in the Environmental Protection Agency budget. But universities and colleges have other sources of income, such as alumni donations, intellectual property licensing and a large student body. Private, nonprofit laboratories such as MDIBL typically do not. The lab was lucky in 2017 because Congress voted for a budget increase, so the lab recouped all the money it initially lost. But the interim period of uncertainty made Strange consider other options to assure that researchers can still work during the budget haggling. “We’ve always done well with NIH funding but with the federal environment we need to diversify our revenue,” Strange said. So several years ago the lab began offering summer classes for students from around the country and creating an incubator where startup companies could interact with scientists and access expensive lab space and equipment. Now, two of the five startups are spinouts from the lab’s own research. The first, a company Strange co-founded called Novo Biosciences, aims to regrow damaged heart tissue. 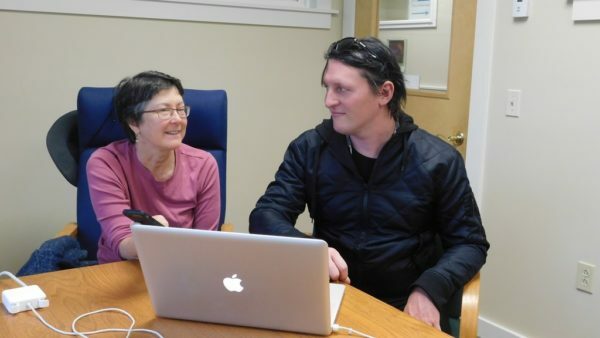 A soon-to-be second lab spinout, Anecdata Solutions, collects data from citizen scientists. He hopes to have 10 more startups there in five years. The strategy differs from the way science labs ran traditionally, collecting federal funds to operate and avoiding private industry collaborations to focus on basic research rather than commercial discoveries. But that’s changed over the past decade, Strange said, especially when money tightened after the 2013 budget sequestration. More universities and labs created startup companies, and the attitude has been shifting for businesses and labs to work together in some research areas and share resources to move science ahead. Richert said having entrepreneurs working in incubators alongside scientists helps network and get business planning assistance. “In the end a lot of commercialization relies on contacts with the business world that the researchers themselves don’t have,” he said. Maine has never won a high share of federal science funding compared to other states, ranking 46th nationally in pulling in federal R&D money. Out of the $25 billion in NIH funding this year, the state attracted 128 grants worth $88.7 million. Only Vermont got less among the New England states and Massachusetts led the pack with $2.7 billion. Jackson Laboratory, also in Bar Harbor, is by far the largest NIH money recipient in the state, getting $20.5 million in NIH research grants so far in 2017. MDI Biological Laboratory got $5.4 million and Maine Medical Center Research Institute in Scarborough received $2.2 million. Some grants span multiple years, so the labs don’t get all the money from a grant in one year. But diminishing federal budgets means fewer and smaller grants, with some agencies awarding money to less than 20 percent of applicants. And for the first time since World War II, government funding has fallen to less than half of all basic research funding, according to Science magazine, putting pressure on labs to commercialize their discoveries more quickly. In 2016, Bigelow Laboratory for Ocean Sciences launched two new Centers for Venture Research to apply business and project management techniques to its ocean-related research projects. The goal is to get science to the public more quickly to help in policy decisions, create ocean-based products and ultimately boost the state’s economy and jobs, the lab said at the time. In addition to the incubator for startup companies, Strange also launched a center for entrepreneurship and training. The Maine Center for Biomedical Innovation, completed in March, was paid for by $3 million from a state bond issue in 2014. It’s part of the federal Institutional Development Awards program, which brings together three Maine laboratories and 10 colleges and universities. Started in 2001, the program focuses on states with historically low levels of NIH funding. Strange said since it started, it has brought more than $144 million in research funding into Maine and created 205 jobs. Michael Kagan moved his company from New York to Maine because of Strange’s approach to marrying companies and scientists. Kagan is product development director for one of the lab’s incubator companies, Coagulation Sciences, which is developing a machine and cartridges with compounds to test blood clotting in trauma patients less expensively. He agreed with Richert that an idea can’t be taken directly from a university into commercialization. The lab’s most recent startup, Anecdata, began as an MDIBL project studying eelgrass in Frenchman Bay, according to Duncan Bailey, chief technology officer for the company. Its first customer, the South Carolina Aquarium in Charleston, used the company’s new mobile app to collect information from citizen scientists on sea turtles choking on plastic bags. That data helped initiate a plastic bag ban on Folly Beach in South Carolina, Bailey said. The aquarium gave the company $25,000 in seed money to match a $25,000 seed grant from the Maine Technology Institute. “Now the aquarium is interested in the next software update and is putting $15,000 toward its development,” Bailey said. Spinning out companies and diversifying income will take time, Strange noted. In the meantime, federal funding will remain a key part of keeping science going in Maine. Chuck Donnelly, president and CEO of RockStep Solutions, one of the first companies in the lab’s incubator, received a $225,000 NIH Small Business Innovation Research grant in 2015 and another $1.5 million NIH grant in 2016 to develop biomedical software. The lab’s infrastructure gave the small company the necessary credentials to win that funding. It’s now going after some of the $50 million technology bondapproved by Maine voters in the June election. But the NIH funding still is necessary for basic science, he said, and was critical to launching the company. “We would not be in business now if we didn’t get those grants,” Donnelly said.